The exhibition unveils another facet of the project initiated by the Muzeum Sztuki in Łódź and the Polish Institute in Dusseldorf that premiered in conjunction with the celebrations of the one hundredth anniversary of the Avant-garde. 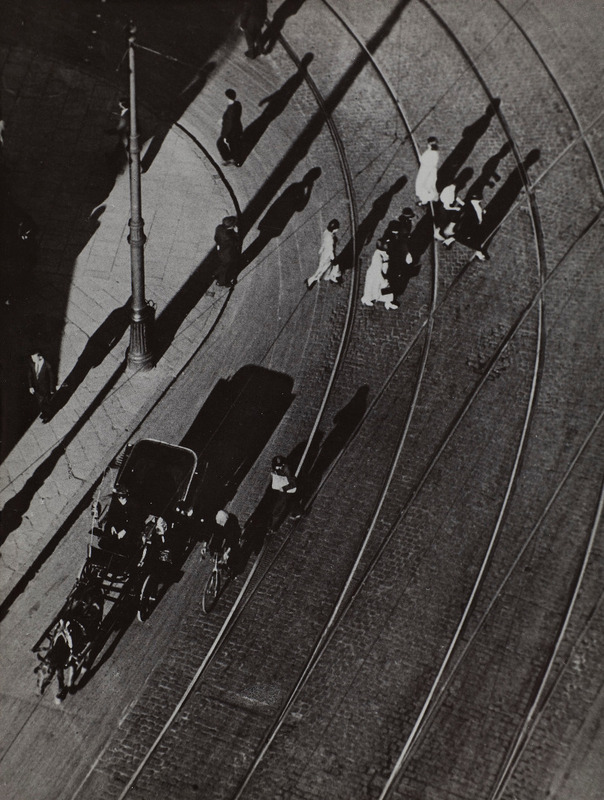 It embraces modernity seen from the perspective of interwar Poland when artists were striving to grasp the then used form of expression - photography - perceived as a tool best equipped to meet the requirements posed by the new era. Industrialisation, urbanisation, fast developing urban culture, and increasingly more omnipresent factory work were experienced at scale and speed unprecedented in human history. By deploying creative means intended to surprise the audience, avant-garde artists were trying to create a new language to be able to properly name the new era and to understand it. Modern photography has shaped new thinking and new perceptions of reality. Its instrumentarium included abstract photography, camera-less photography, photomontage and a number of composition tricks, such as creative perspective and framing. They were not only expected to give an accurate account of modernity but also help the audience meet its challenges. The exhibition features works by avant-garde artists (Jan Maria Brzeski, Kazimierz Podsadecki, Stefan Themerson), whose oeuvre is a separate phenomenon in the landscape of Polish art, as well as works by Polish photographers who experimented with new means of artistic expression (e.g., Jan Neuman, Witold Romer and Krystyna Gorazdowska). The screening of “Woda” (Water) a film by Witold Romer will be part of the Budapest exhibition. The film includes innovative photos making a reference to the ‘New Vision’ avant-garde photography that the author shot underwater with a camera he invented himself. The movie, previously available only to family members, is coming back after so many years to Budapest where it won the 3rd prize and a bronze medal in the found footage category at the film festival in 1938.